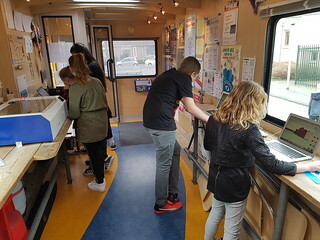 Today I’m working at Library Service Fryslan to further document and detail our Networked Agency based library program Impact through Connection. This is a continuation of our work last December. The team in skype conversation, which is why all are staring towards the laptop. We sat down to augment material and write this morning. In the afternoon we spent an hour talking to David Lankes. He’s the director of USC’s library and information science school, and the originator of the term ‘community librarian’. 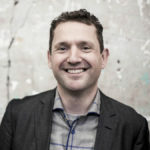 Jeroen de Boer, our team lead, had asked him last month for some reflection on our work. 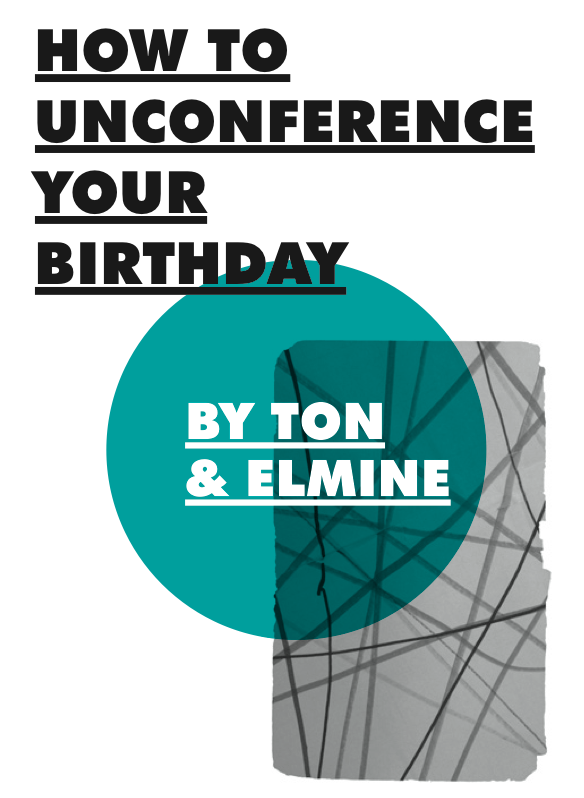 That took the shape of an extended skype confcall this afternoon, which was very helpful. Trying to make our effort much more tangible in terms of examples and in supporting librarians in their role in Impact through Connections, is one thing that was emphasised. The need for training librarians in the methodological aspects of this, to help them feel more comfortable in the open-ended setting we create for this project, another. It also made us realise that some of the things we already mentioned, or did earlier, but since dropped of our radar somewhat, need to be pulled more into the center again. The suggestion to create multiple parallel propositions for libraries, as a way to better engage in conversation about the level of service provided, involvement of librarians, and the consequences different choices carry, I think was a good practical tip. 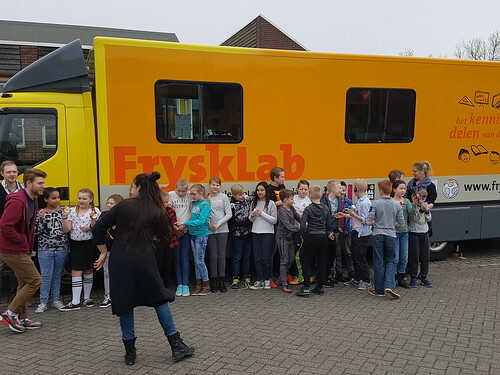 This week and next week I am working with the Library Services Fryslan team (BSF), the ones who also run Frysklab, a mobile FabLab. We’re taking about 5 full days and two evenings to dive deeply into detailing and shaping the Impact Through Connection projects BSF runs. Those are based on my networked agency framework. Now that BSF has done a number of these projects they find that they need a better way to talk about it to library decision makers, and a better way to keep the pool of facilitators much closer to the original intentions and notions, as well as find ways to better explain the projects to participants. It’s quite a luxury to take the time with 5 others to spend a lot of time on talking through our experiences, jotting them down, and reworking them into new narratives and potential experiments. It’s also very intensive, as well as challenging to capture what we share, discuss and construct. 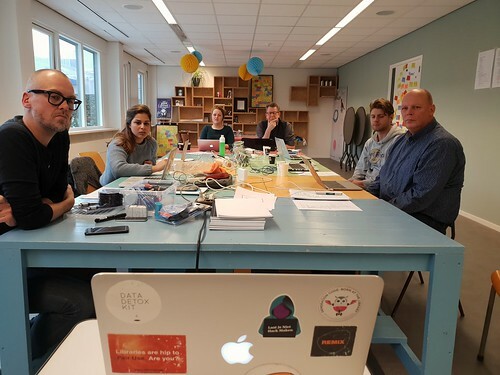 In the end we want to be able to explain the why, what and how of networked agency to different groups much better, next to improving the way we execute the Impact Through Connection projects. After doing a braindump on day 1, we used the second day to discuss some of what we gathered, figure out what’s missing, what needs more detail. We’ve now started to bring all that disjointed material into a wiki, so that we can move things around, and tease out the connections between different elements. This will be the basis for further reflection, planning to end up with ‘living documentation’ that allows us remix and select material for different contexts and groups. Currently I think we are at the stage of having collected a mountain of thoughts and material, without much sight of how we will be able to process it all. But experience tells me we will get through that by just going on. It makes the luxury of having allocated the time to really do that all the more tangible. 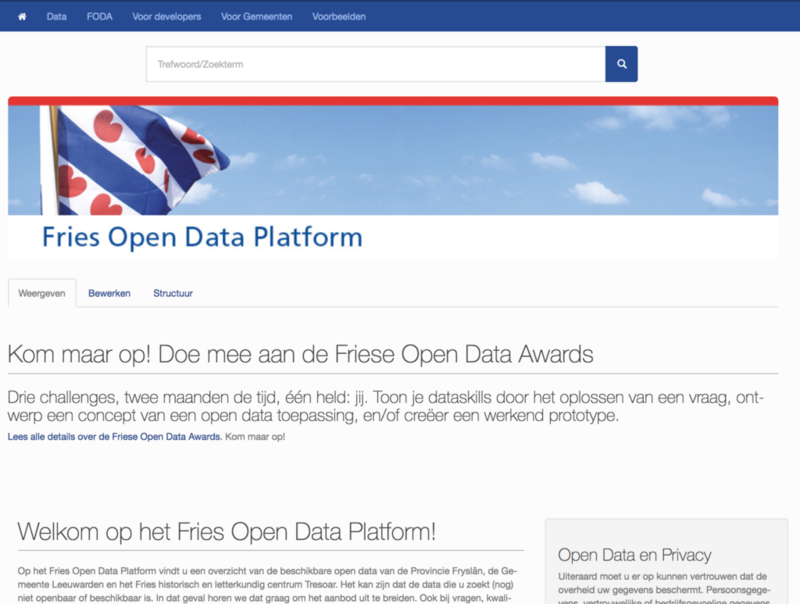 Yesterday saw the Frisian Open Data Platform go live. Initiated by the Province Fryslân, the City of Leeuwarden (the province’s capital), and the regional historic center and archive Tresoar it is a unique collaborative effort in the Netherlands. The Province initially proposed to create the platform, based on the notion that open data is more useful if it is available from local governments across the region, and seeking to avoid every local government needing to create their own infrastructure for publishing (especially an issue with smaller municipalities), and that creating a single point to search for regional and local data makes it more likely that data will be used. The Province invites all other Frisian government entities to participate in the platform. Data can be hosted in the platform (the Province does this, but also very useful for smaller entities), but those that want to maintain their own infrastructure or already do can also use it as a register and increase findability that way (e.g. Tresoar has been publishing a lot of material, also in the form of linked data for a long time already). The platform was launched during Connect.FRL, a conference bringing IT employers and students together to try and keep more talent in the region. 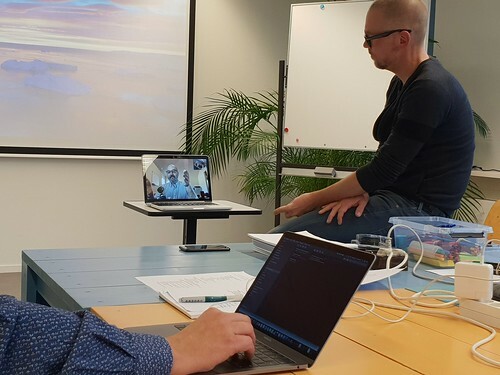 There all three initiators presented themselves together and also provided insight how they currently use data internally. The launch coincides with a challenge for students and others to solve a specific riddle with the now published data, to suggest a concept of how the data can be used, and to create a prototype. 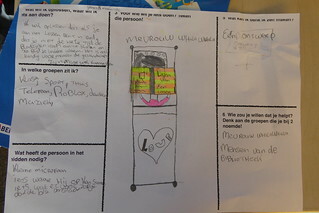 I’ve been working with the City of Leeuwarden in 2012, as well as with the Province in the past 2 years. Employees of Tresoar attended our Mastercourse open data last year, initiated by the National Archives. All that combines now in together delivering this platform. It is especially great to note how currently there is palpable energy within all three participants to move this forward. In the coming time we will work to bring more participants to the table, expand the data on offer, and further align open data efforts in the region. 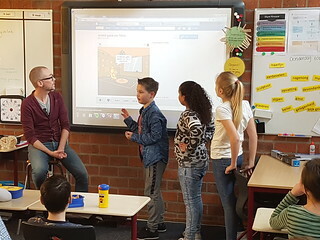 Earlier this year I worked closely with the Frisian Library Service to create the project ‘Impact through connection, at school‘ together. At the core was my model of agency and a process I designed to guide a group towards exploring using both technology and methods to address a local issue. 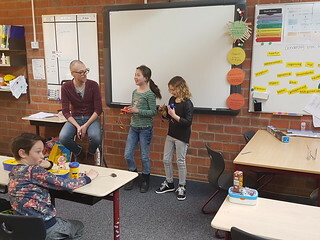 Today I had a conversation with Jeroen de Boer, of the FryskLab team, who had involved me in putting my idea to practice, at a primary school with a group of 10 year olds. We talked about what came after the project that took place in January to March. That’s when I received some awesome feedback. “Your experimental process has basically become the way we work now during workshops and with groups”. He also had heard from the teacher of the class we worked with that “the pupils said it was the best thing in the entire school year”. 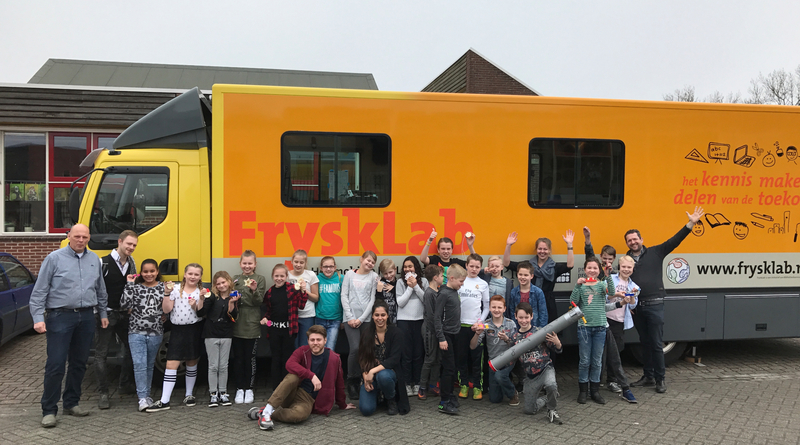 The project was partly financed by the Dutch Royal Library and they indicated it was “one of the most inspiring projects they helped finance this year”. That sounds like a great starting point to explore what else we can do together next year. 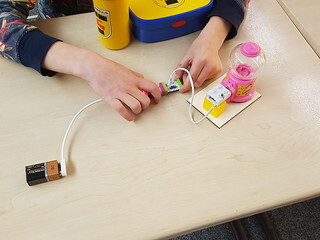 In the past weeks I’ve been part of a team working with a class of 10/11 year olds, as an experiment around increasing agency with 21st century digital skills, under the title Impact through Connection. 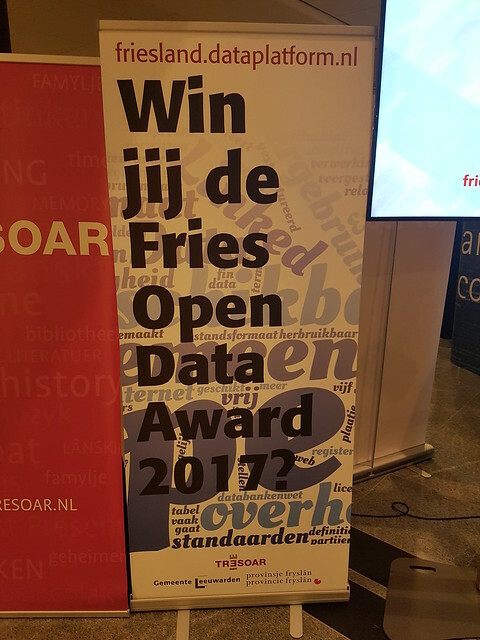 In this I’m partnering with the NHL (university of applied sciences), and the regional Frisian library BSF, with some funding coming from the Dutch Royal Library as part of their Vision Mediasavviness 2016-2018 program. 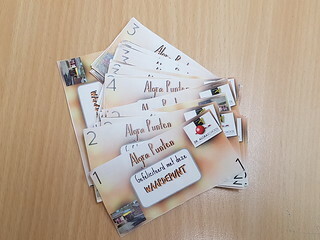 The experiment centered around helping the group to identify communal issues, situations they would like to change, and then to develop ideas and realize them. So that the group ‘gets’ that with various making and other machines and instruments, they have the agency, have the power, to change their surroundings for themselves as a group. Since January we’ve been meeting with the school’s team, and then weekly 6 times with the class of 22 children. It was loads of fun, not just for the kids involved. The highest compliment we received was that one of them said “this is more fun than the annual school trip”. Another remarked feeling sorry that all other classes had to work, while they were making stuff. We pointed out that they too were working very hard, but differently, and that having fun does not mean you’re not working. 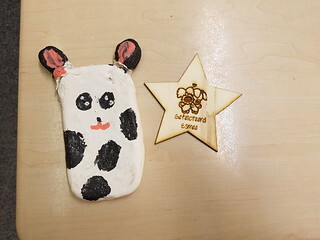 Yesterday we’ve had the final session, ending with presentations of the things they built (such as phone covers for phone-types that aren’t otherwise available, a way to look under water, a class room MP3 player for audiobooks, games, computer controlled door locks, a candy machine, a robot to counteract bullying, websites documenting the process, and a money system for the school). Afterwards I returned home and jotted down a list of observations to reflect on. We plan to do a similar experiment with a group of adults from the same neighborhood as the school serves, as well as will aim to replicate it for other school classes. First, for context, the order of the sessions we did. Session 1: group discussion about the children’s environment, things they would like to change, ideas for making things they had. Resulted in a ‘wall of ideas’, ordered from ‘looks less hard to do’, to ‘looks harder to do’. Session 2: getting to know maker machines (3d printers, laser cutters, electronics, etc. 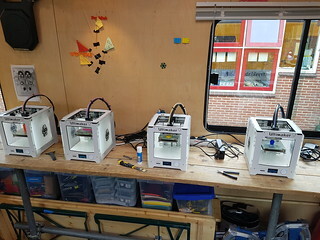 ), by bringing the machines to the class room, and parking the Frysklab Mobile FabLab out front. Session 4: Diving deeper in to the idea now they have a notion of what is possible with the machines and material available, using a canvas to think about what the idea solves, whom it is for, what part of the idea to zoom in on, and who in their own social network could help them realize it. In non-specific order here are some of the raw observations I made in the past weeks, that we can further elaborate and chew on, to create the next iteration of this experiment. The school team school was extremely supportive, and the teacher showed enormous flexibility. She rearranged her normal class schedule extensively to ensure we had more time than we thought possible. The process we designed worked, but we could have spent more time and attention to several parts of it. When we look at Making, we see how it is different from what was before, how all of a sudden ‘anyone’ can do things that took specialised machines and factories earlier, and how that changes the dynamics of it all. The children don’t see it that way, because they don’t have that history. Although that history is the source of our own fascination it is not the fascination you can confer to the children, as it is by definition a meaningless comparison to them. Our large pool of people to help out was necessary to be able to provide adequate guidance. Even if adding 5-7 adults to a classroom feels like a lot. The teacher could likely have a more defined role during the sessions (other than trying to keep a semblance of order), maybe also in building the bridges to other parts of the curriculum in the run-up? Examples from ‘nearby’, such as the kid with a 3d printed hand prosthetic living in the neighbouring province are therefore very valuable. We need to collect many more of them. 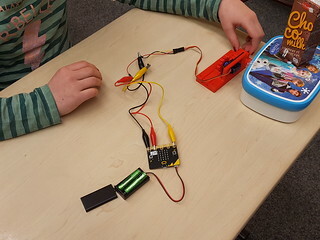 Likewise ‘making’ is connected to hardware, objects and software mostly. Creating ‘systems’ or ‘processes’ is a novel concept (except for the currency making project). Challenging systems is like a fish changing the water it swims in. 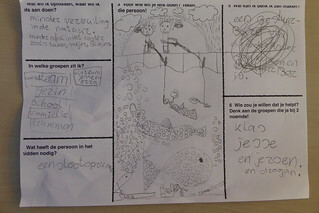 Building websites to document projects is an essential part the children came up with themselves. Needs to become a standard component of the process. Searching online for examples and useful material (like code snippets) can be a stronger part of the process (as answer to the frequent question “but how can I do that?”). Means paying attention to searching skills. The mentioned websites can contribute to that by collecting links to resources etc. E-mail is not available to all children (not allowed to, don’t want to give out their parents e-mail), but often needed to register for online coding and making tools, or to create a website. Providing throw-away e-mails, like I personally do with 33Mail, is something to add to our toolkit.